Help find Wayne B. Wasteman, Boy Plunder & Rob Ozone! These dastardly earth destroyers must be stopped! Cut and glue features onto 11" x 17" Wanted Posters. Then note characteristics and the bad deeds they've done. 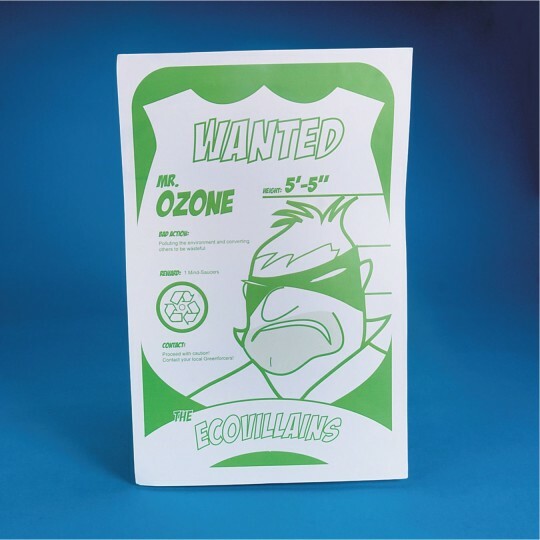 Alert your GreenForcers team about the diabolical EcoVillains! Be on the look out for dastardly environmental destroyers like Wayne B. Wasteman, Boy Plunder and Rob Ozone. 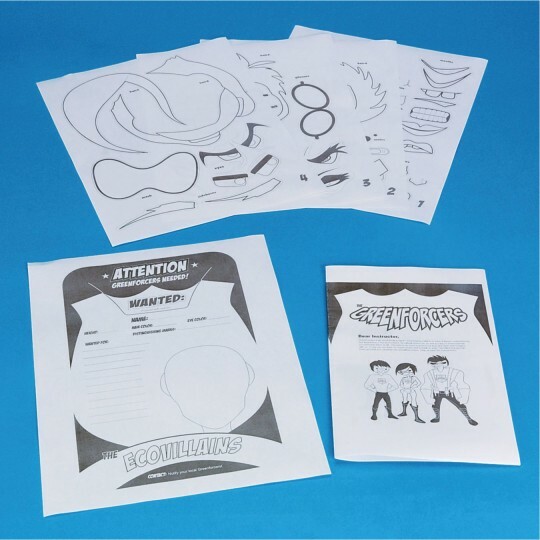 Kids cut out and glue the features of these creeps onto 11" x 17" Wanted Posters, jotting down their distinguishing characteristics and the bad deeds they've done. Bring the EcoVillains to justice and win one for Mother Earth while encouraging literacy skills and creative thinking. 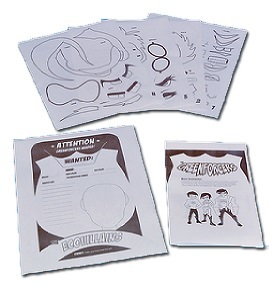 Kit includes enough materials to make 15 posters.